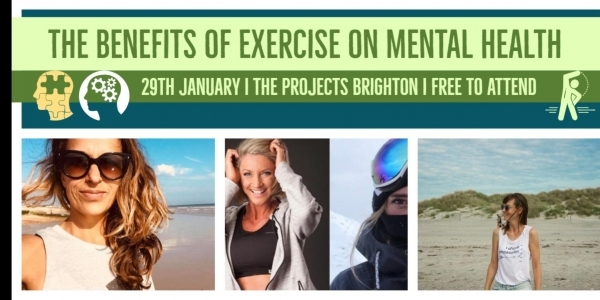 Come and join us for an important evening about our mental health (because we all have it!) And how important exercise it is to keep our mind happy and healthy. Three beautiful women will talk about what role exercise plays in their life's and how it changed them. Please pop in even if you think this doesn't effect you. Depression, anxiety and many more forms of mental illness effects us all in our day to day life and friends life's. It is important to end the stigma of it so we can talk openly about it, to give it the attention it needs. Ask questions, listen and come out empowered to make positive changes in your life. Because you are worth it and I believe in you. No one needs not be alone! We are looking forward to see all of you. Hot Drinks + Snacks provided. Entry is free - donations welcome. Please pre-register so we know the number of attendees.